The final stretch of the Denver Nuggets season just got a whole lot more interesting as Denver is coming off of the worst loss of the 2019 season. Denver fell 95-90 to the Washington Wizards in a game that Jamal Murray did not finish because of an ankle injury and also Nikola Jokic was assessed two technical fouls and ejected from the game. With the loss, the Portland Trailblazers and Houston Rockets moved two and a half games closer to Denver as of Tuesday evening. On Tuesday, Denver was up against the defending champions, the Golden State Warriors, in a game in which the Warriors completely dominated in beating the Nuggets 116-102. Denver’s loss made things all the more interesting for the final stretch until the playoffs and, with that, I give you the good, bad and ugly. There are not many positive takeaways in this one. Denver starters were only good in their first stint and they could not recover as the second unit turned the ball over repeatedly. The Warriors capitalized on that as Golden State’s second unit made a big push that Denver could not overcome. The Nuggets’ offense once again looked out of sorts and the Warriors went up by as many as 30 points in the game forcing Malone to give his starters some rest and take a deeper look at his bench. In the fourth quarter, he gave Isaiah Thomas and Jarred Vanderbilt a chance and they did not disappoint. They made the loss a bit more respectable as they made a push losing the game by only 14 points. Thomas was surgical on offense as he finished with a +11 in the plus-minus. In only 10 minutes, he finished the game with 10 points and three assists. He knocked down two 3-pointers and remained on the attack on the offensive end which led to free throws as well. Alongside him was Vanderbilt who was also very productive against the Warriors back up unit. 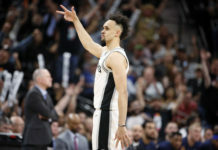 He had 10 points as well as he went a perfect 4-4 from the field and also finished with three rebounds and a steal in only seven minutes of action. Denver’s second unit has been a beacon of light all season long, but has been in a bit of a funk as of late. They have relinquished leads and have not been in a rhythm in some time and that was evident in Tuesday’s game. 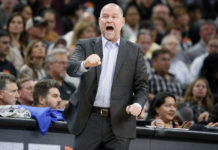 It was positive to see that Malone could get some effort and energy from a few of his players that have fell out of the rotation, but those positives were unable to make up for the beat down that Denver sustained. Demarcus Cousins had a night – and he made sure that everyone knew about it. After the game Draymond Green said that it was a game that Cousins took personal in his matchup against Jokic. Cousins won the battle of the big man matchup as he finished with a season high 28 points. He also had 12 rebounds and five assists to go along with it. 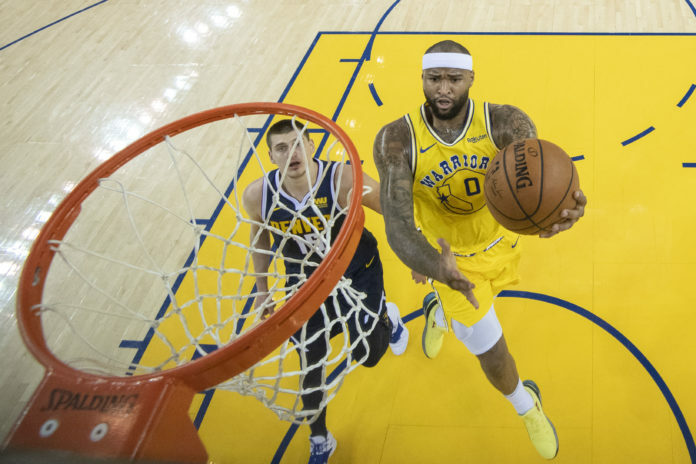 Cousins defended Jokic well and showed that the Warriors got even more dangerous this season with his inclusion. Now, the Warriors have a threat that they did not have inside in their previous championship runs. Jokic struggled to get going on the night and finished with only 10 points, five assists and five rebounds. Cousins was a pest all game long as he drew fouls, finished through contact and channeled his inner rage defensively capping off a great night for the former All-Star. On Cousins way out of the game, he made sure to troll the Serbian All-Star looking down at the Denver bench. 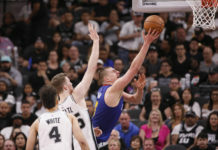 In a game that the Nuggets could have won and taken the top spot out West, Denver could not deliver which pushed Golden State lead to two games. Even worse is that lead is really a three-game lead now that the Warriors have also secured the tiebreaker over the Nuggets so the hope of getting the first seed in the West is essentially out of the window. Now, it is about maintaining as the Nuggets have yet another difficult push out West. Denver is on a back-to-back against a hungry San Antonio team that is currently in the 7th spot with Oklahoma City Thunder on their heels as both teams are deadlocked at 45-33 on the season. The loss also moved the Houston Rockets only a game and a half behind Denver while the Portland Trailblazers are only two games behind. Denver and Portland faceoff against each other twice this week. Denver’s final stretch of games is going to be telling as they still control their destiny for the second seed in the West. Denver will need to focus in and finish off strong or they are in jeopardy of falling as far as the fourth seed. Playoffs officially start in a couple of weeks, but for Denver it appears that the pressure is already on and the Nuggets must deliver. Buckle up, it is going to be a bumpy finish.